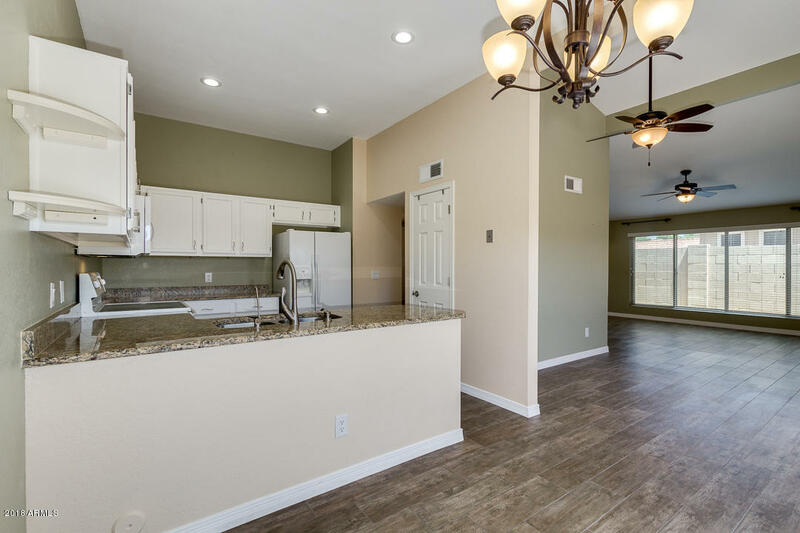 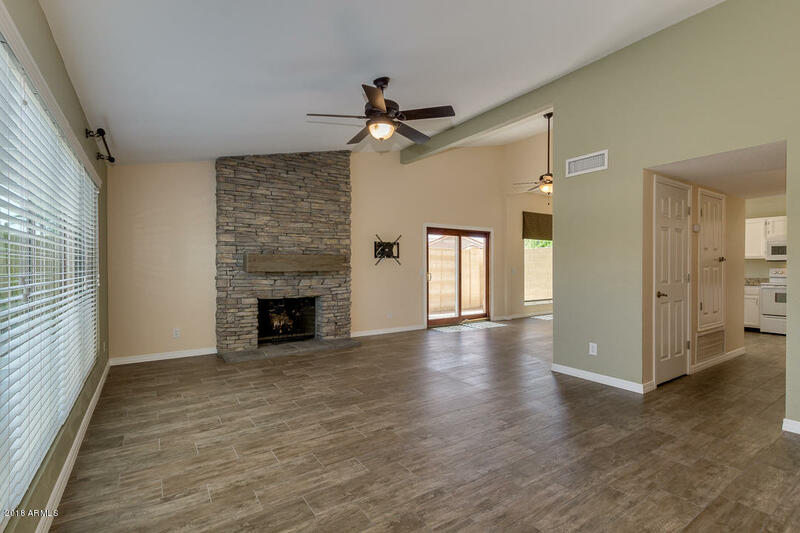 This is the single-story end unit in the Townes at Mountain Park Ranch you've been waiting for! 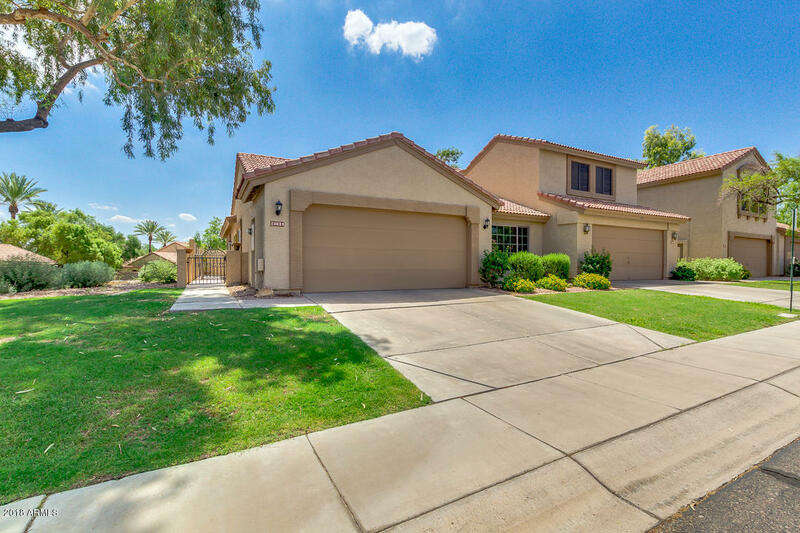 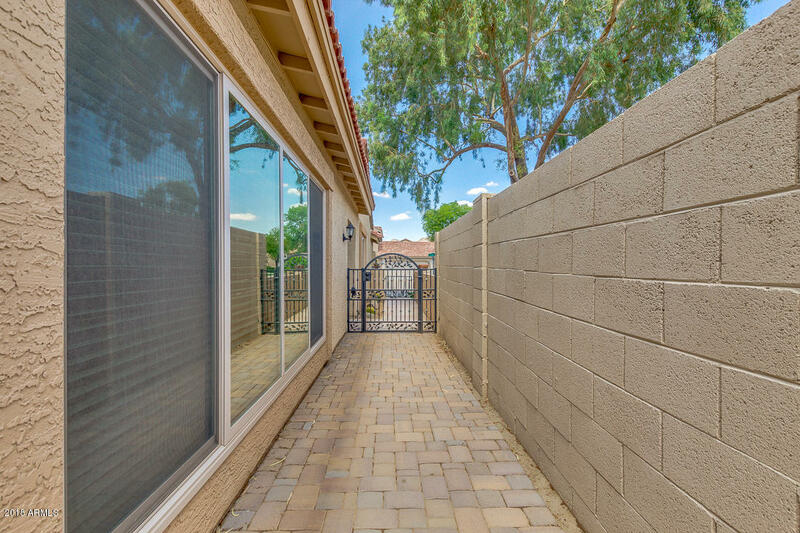 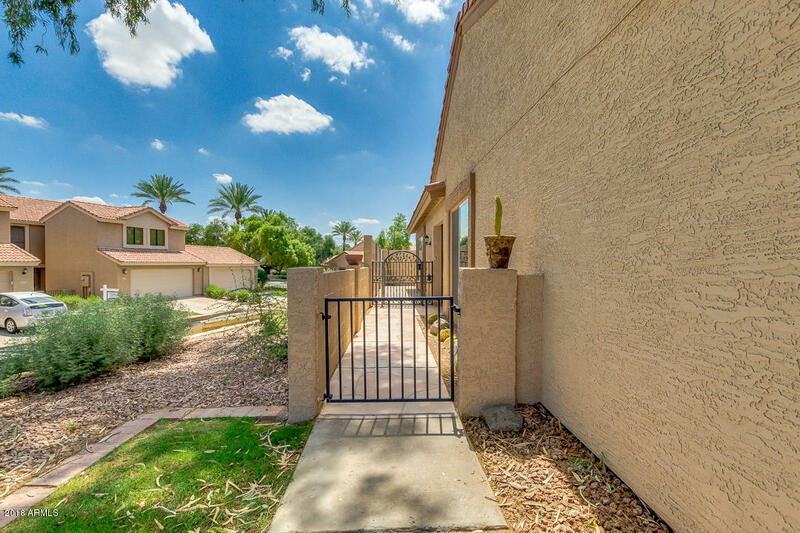 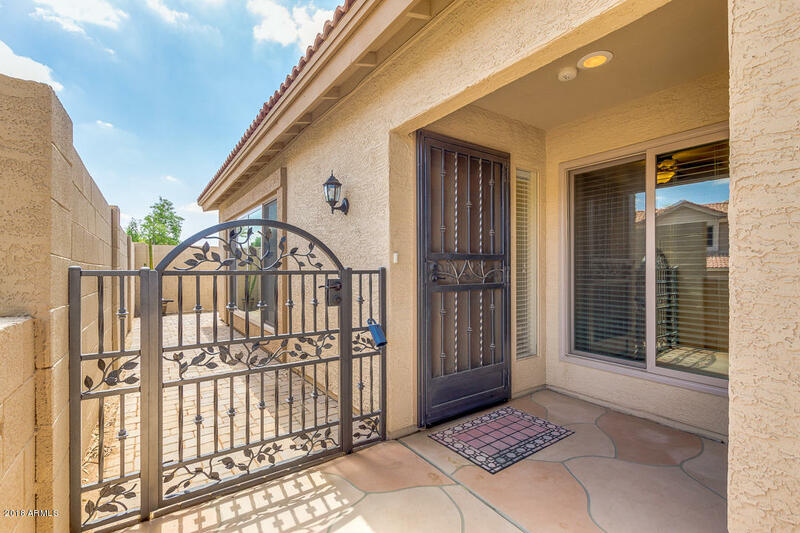 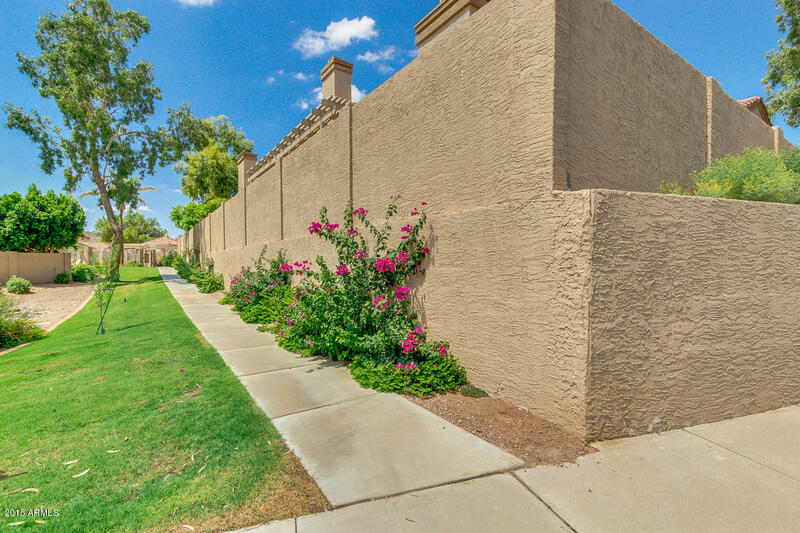 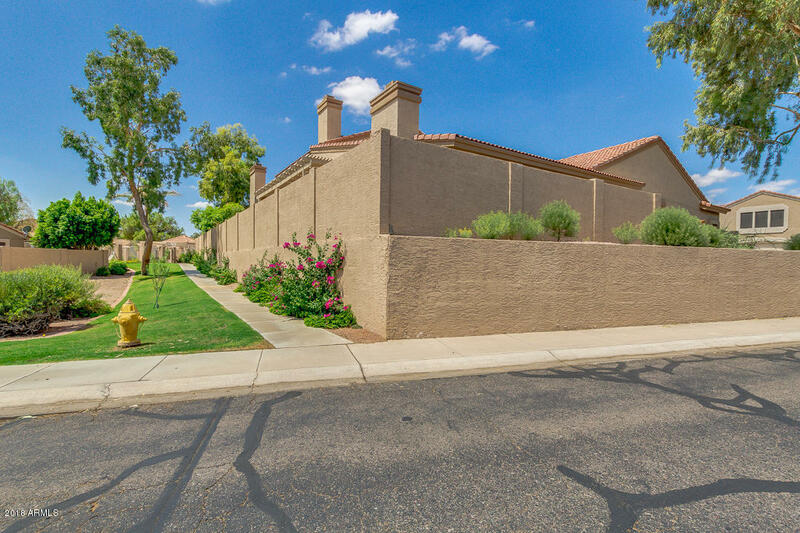 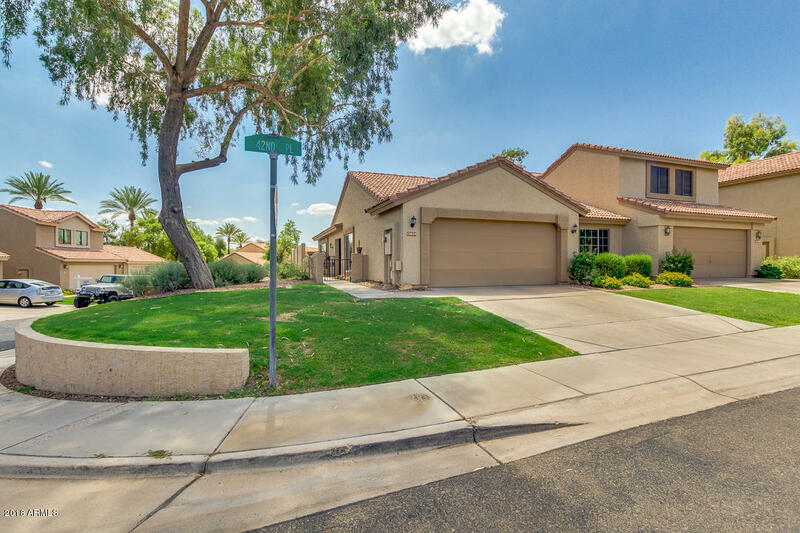 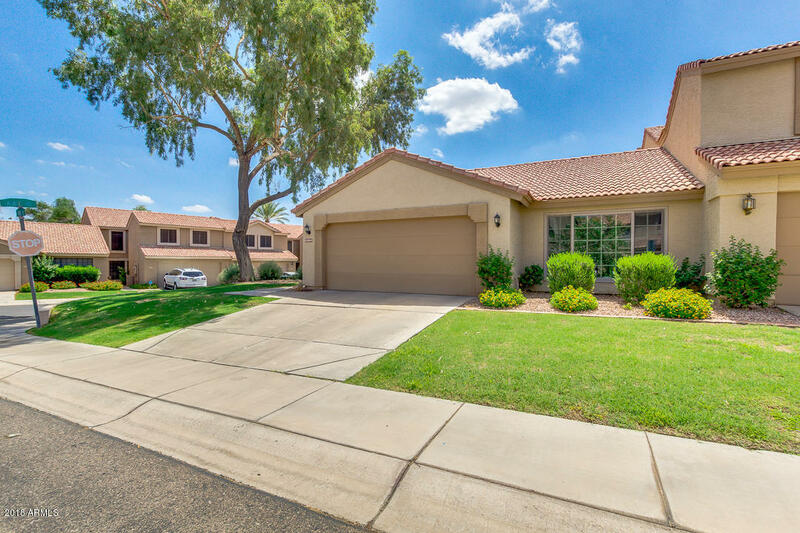 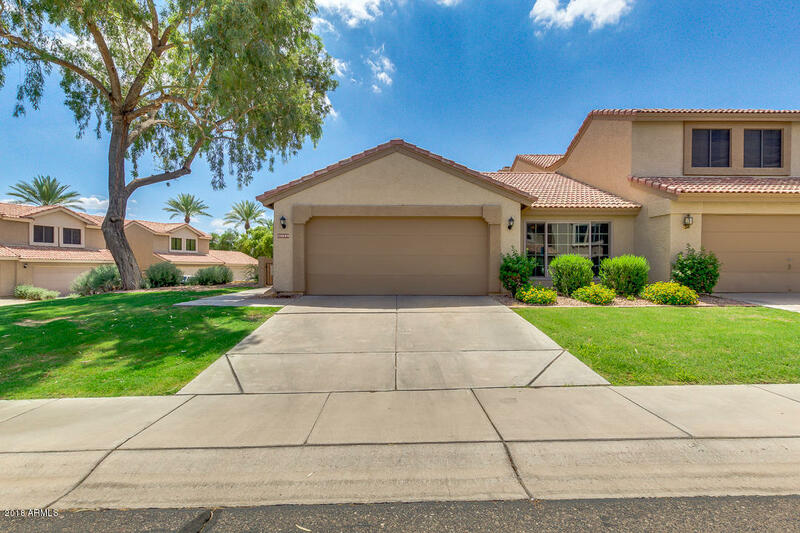 On a corner interior lot with private patio and close to one of the community pools, this home has been updated throughout. 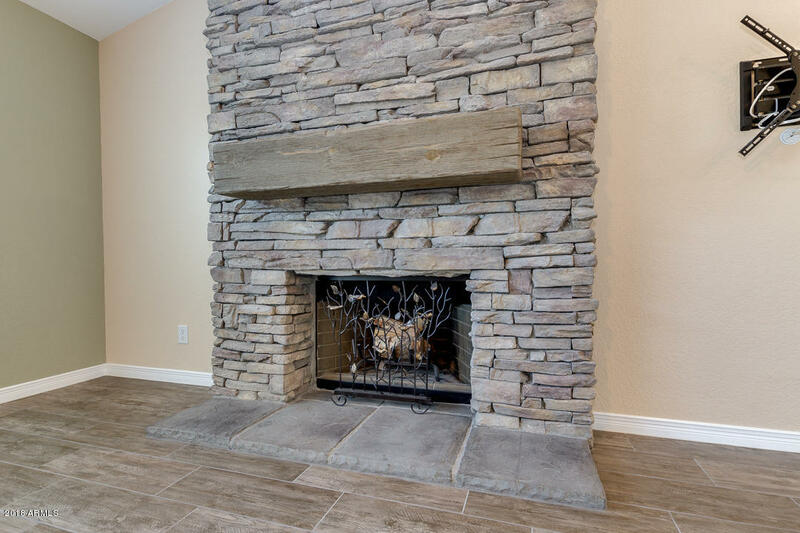 You enter into a vaulted family room with beautifully updated stone fireplace and wood mantel. 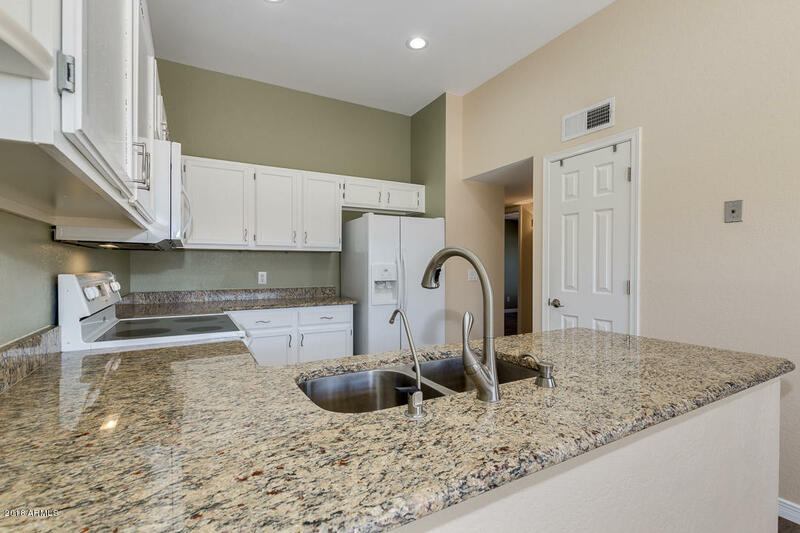 The dining room and eat-in kitchen area have been opened up for better flow, and the kitchen features granite counter tops and a peninsula. 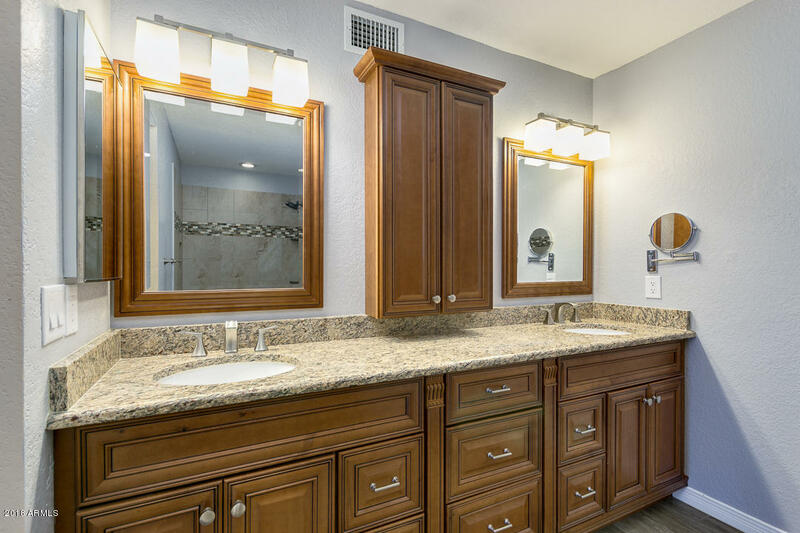 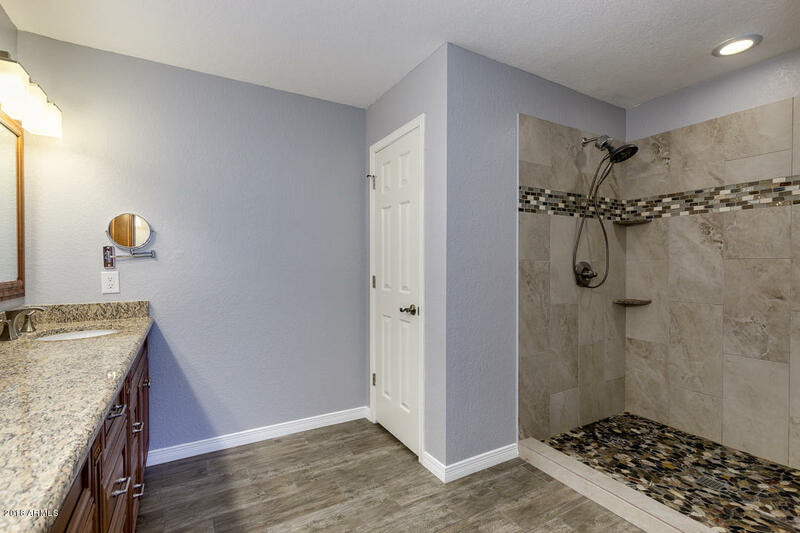 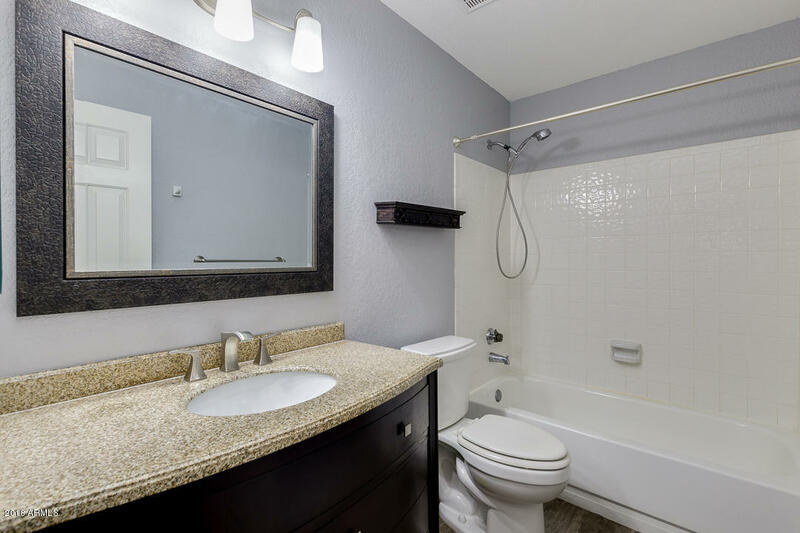 Both bathrooms have been updated with new vanities and a large walk-in tiled shower in the master. 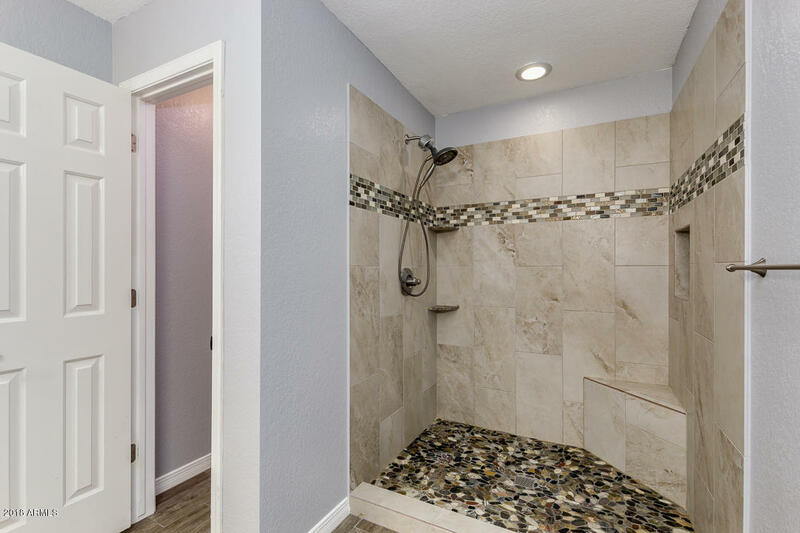 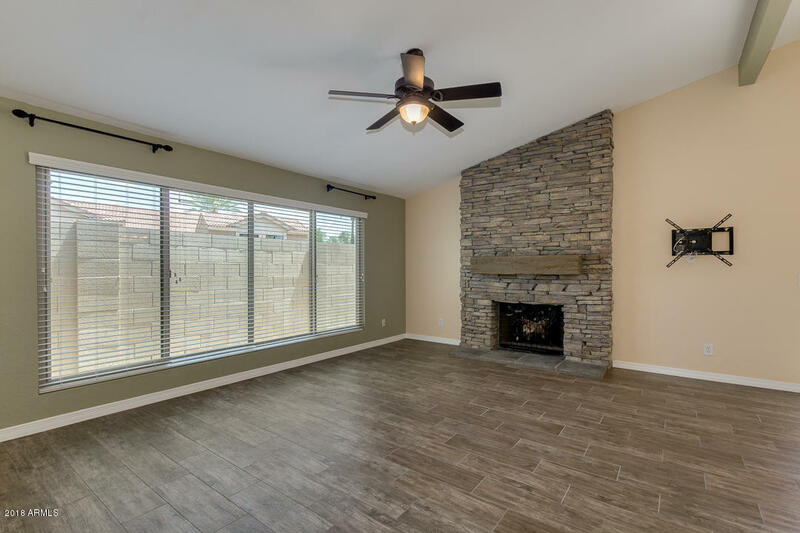 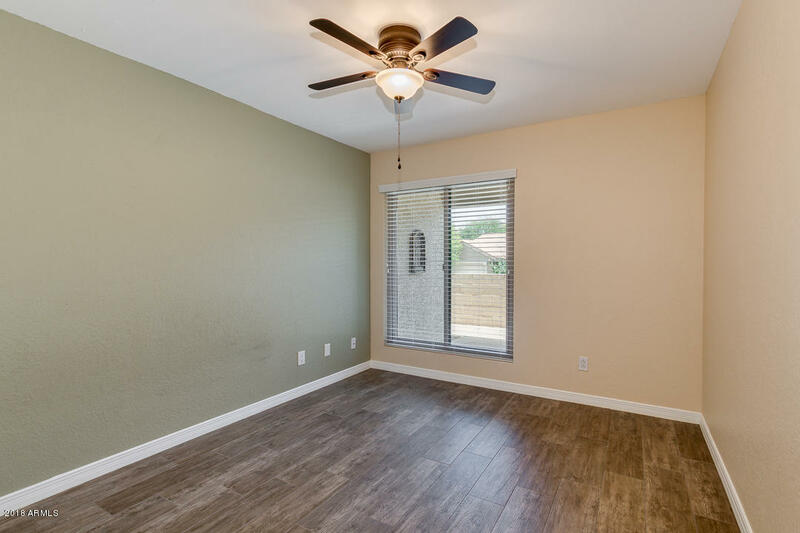 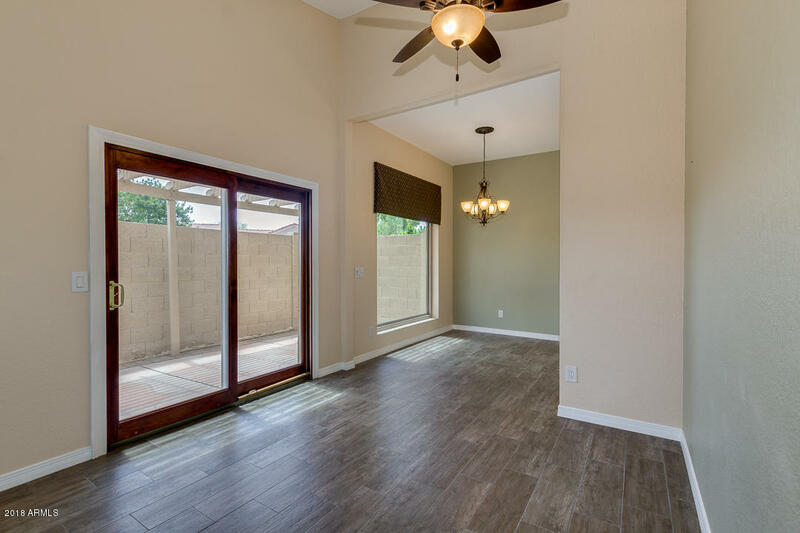 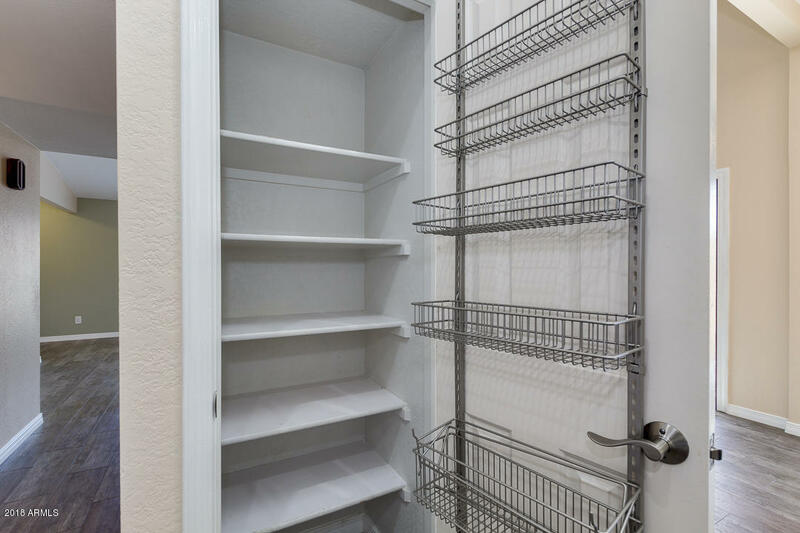 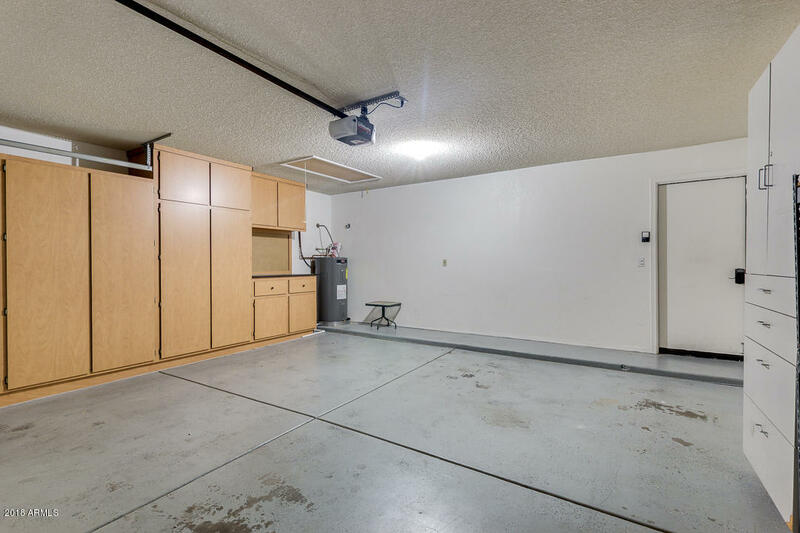 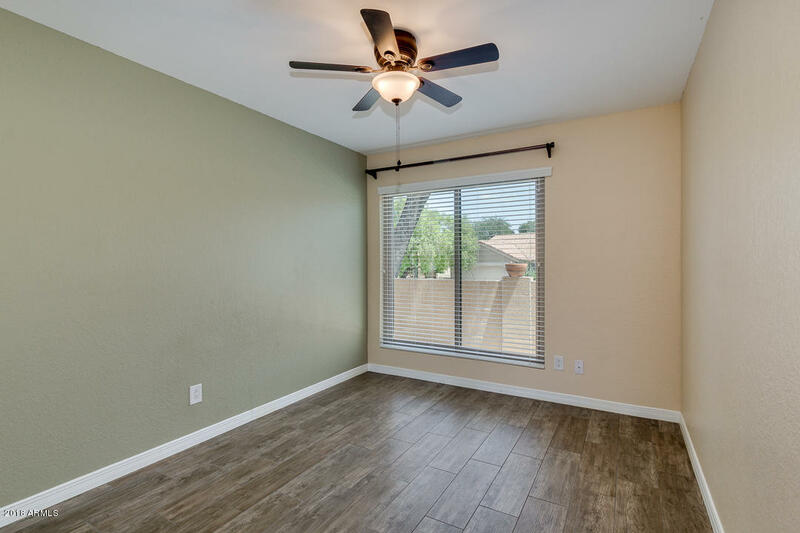 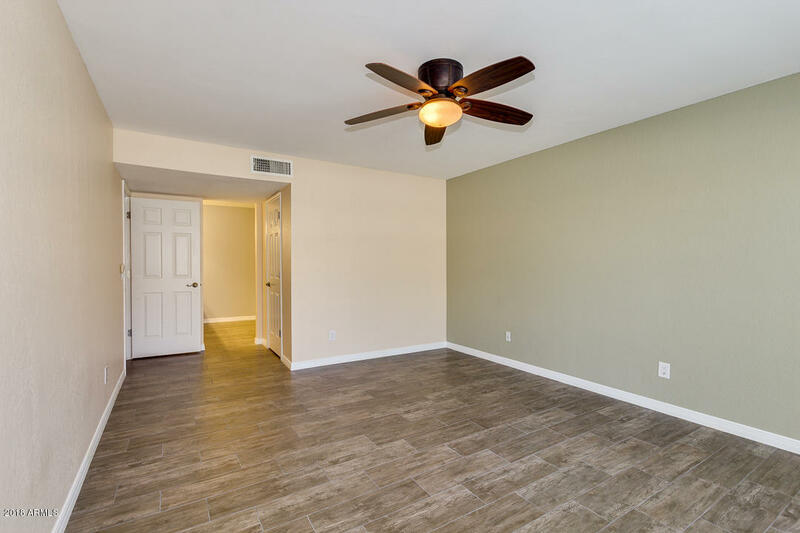 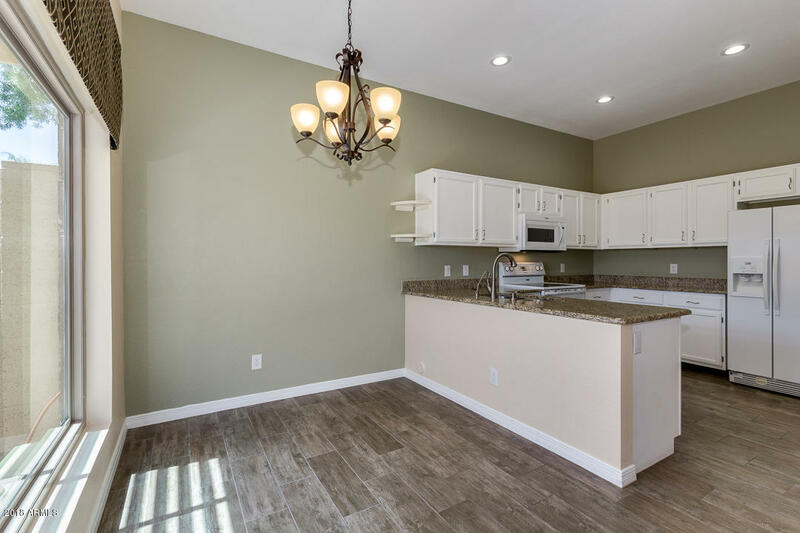 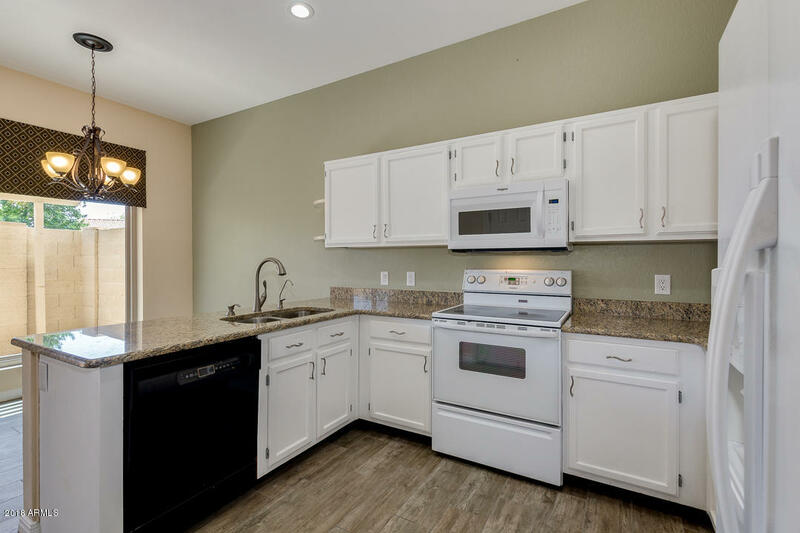 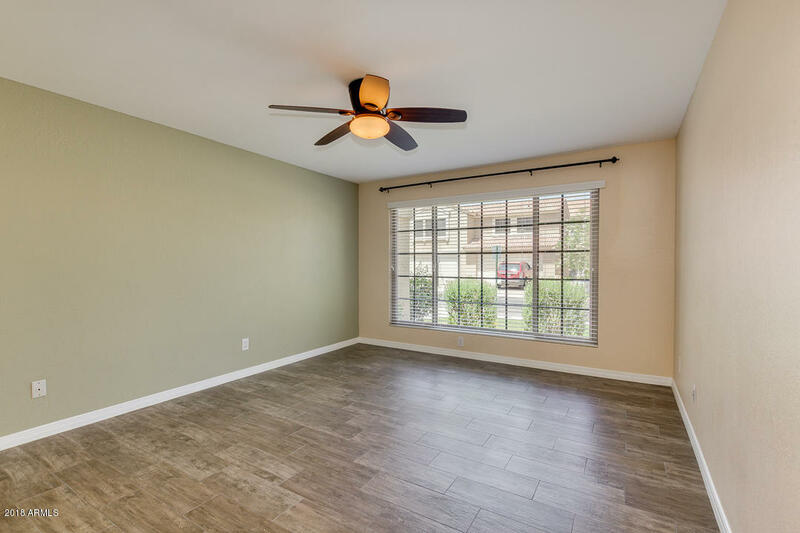 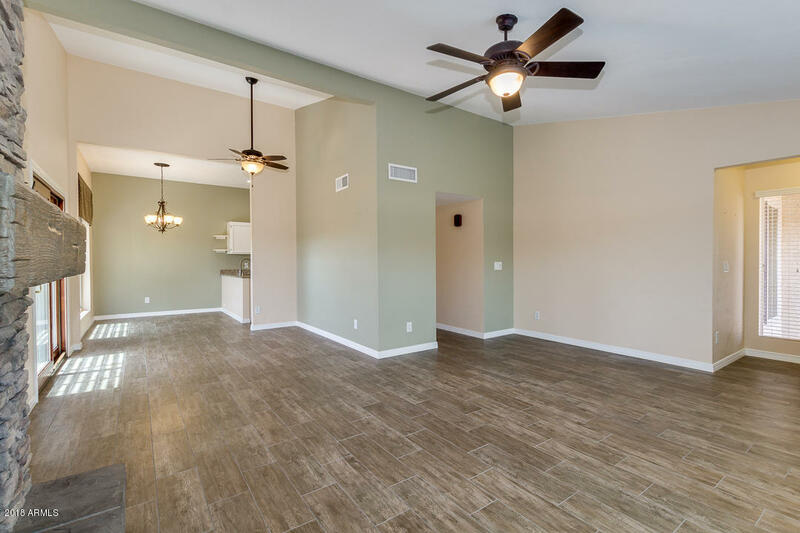 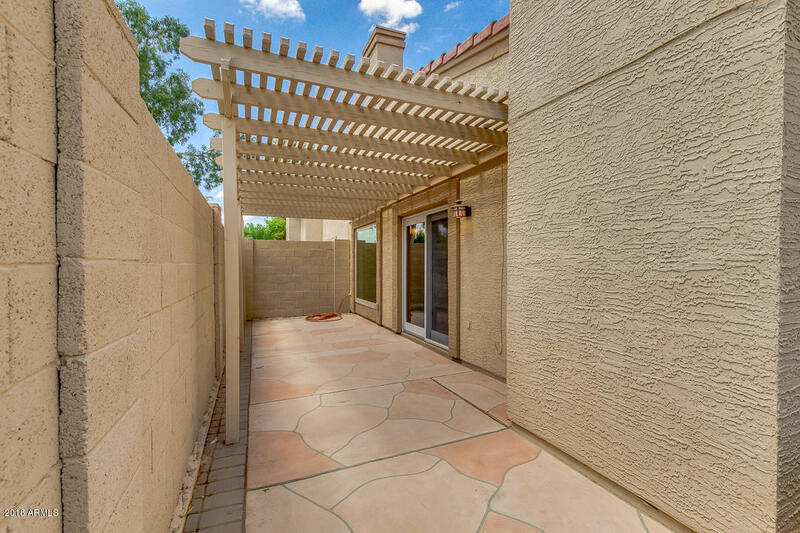 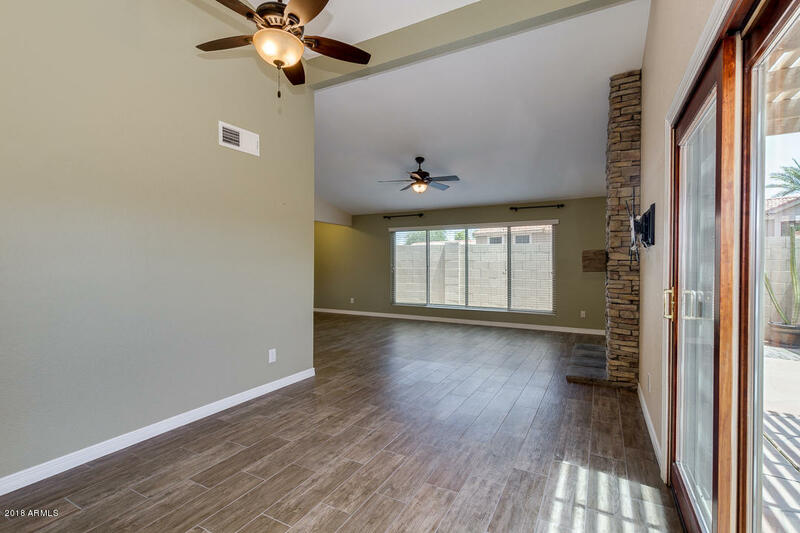 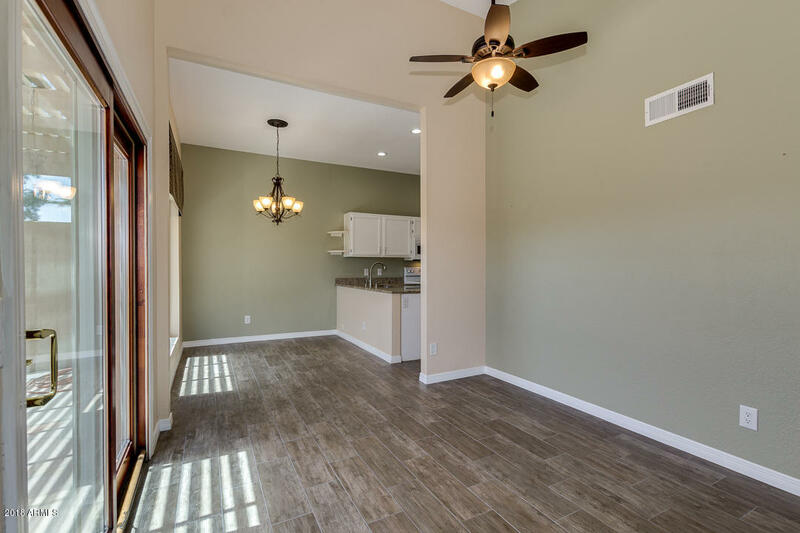 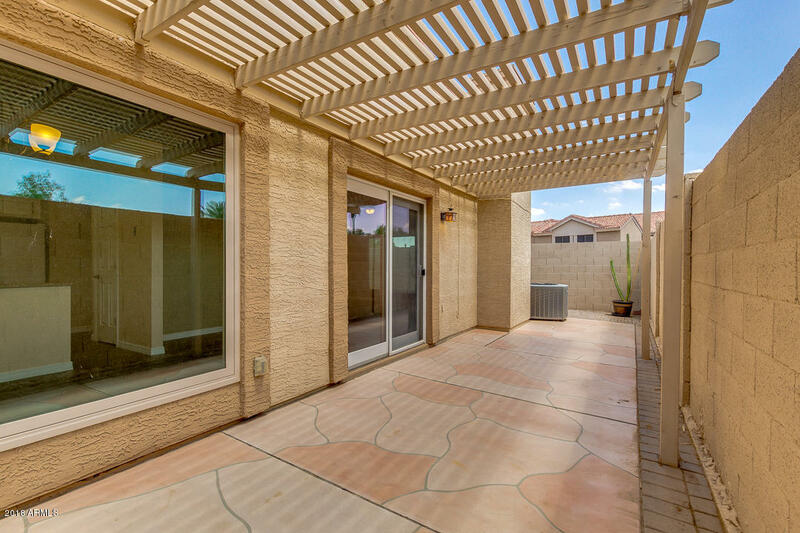 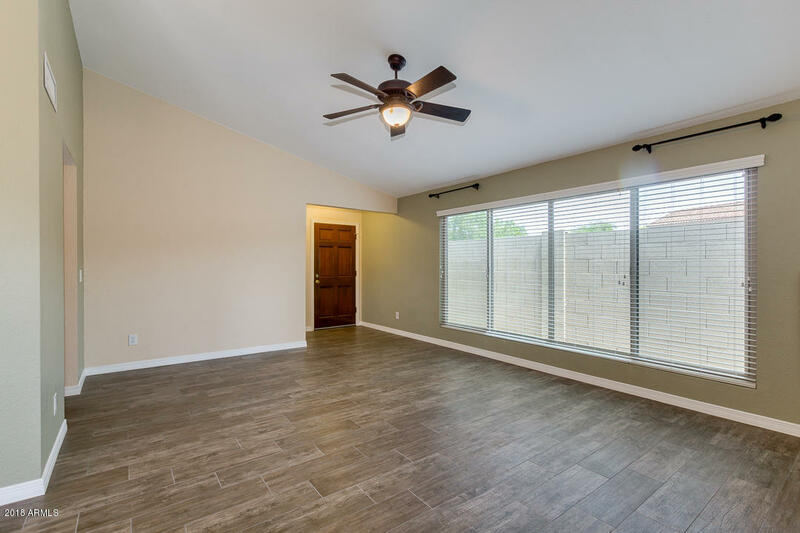 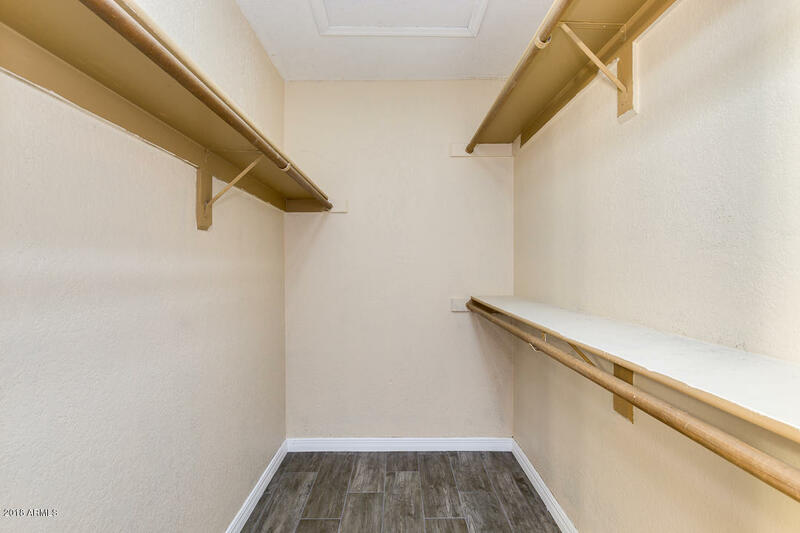 Stylish tile flooring and baseboards, no popcorn ceilings, updated lighting as well as updated vinyl windows and sliding glass door are just some of the other features. 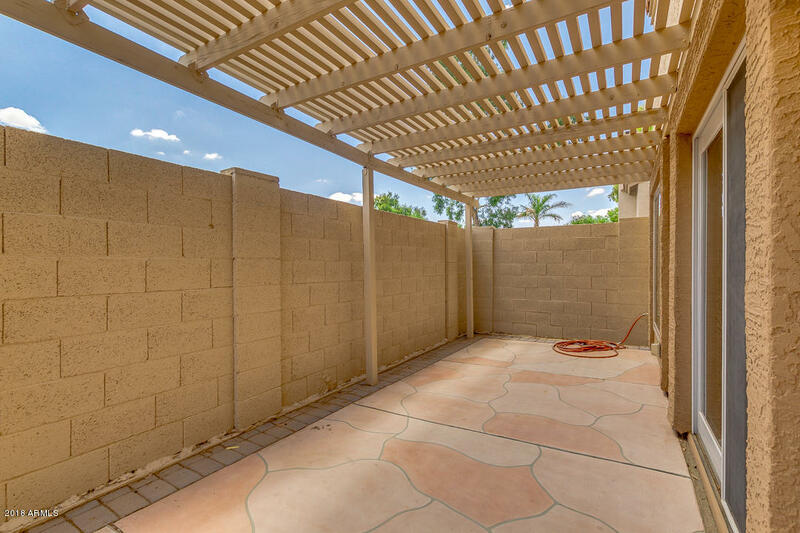 See docs tab for complete list of updates!